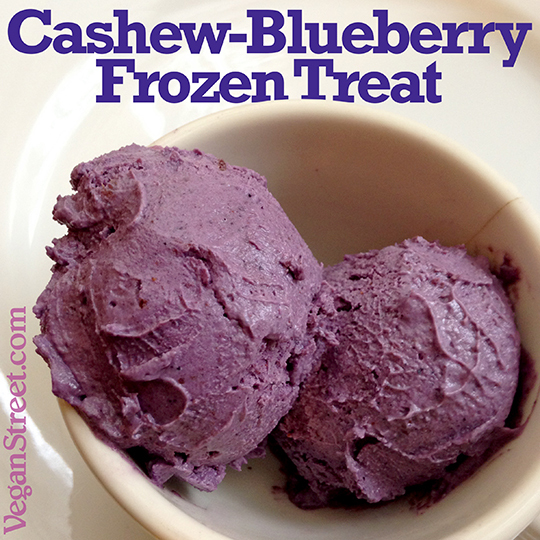 Check out this awesome recipe from our friends over at Vegan Street! Looking for something sweet and creamy without refined sugars or the gums and stabilizers you'll find in commercial frozen treats? The recipe below can be made in a blender for not too much money, and after a couple of hours in the freezer, you are all set with your sweet frozen delight. I'd recommend a high-speed blender for this to get the smoothest texture, but if you don't mind a slightly grainier texture, a regular ol' blender should also work. Combine all the ingredients in your blender and blend, baby, blend, until it is fully incorporated and smooth. I needed to use my blender's tamp to get everything mashed up. Add water by the tablespoon if you need more liquid to get things moving around. Pack in a container and freeze for a couple of hours. Scoop and enjoy! Why plant-based? Read more here about the benefits of ditching animal products. Thanks to Vegan Street for sharing this recipe with us! Be sure to check out their website for more tips on living a plant-based life.